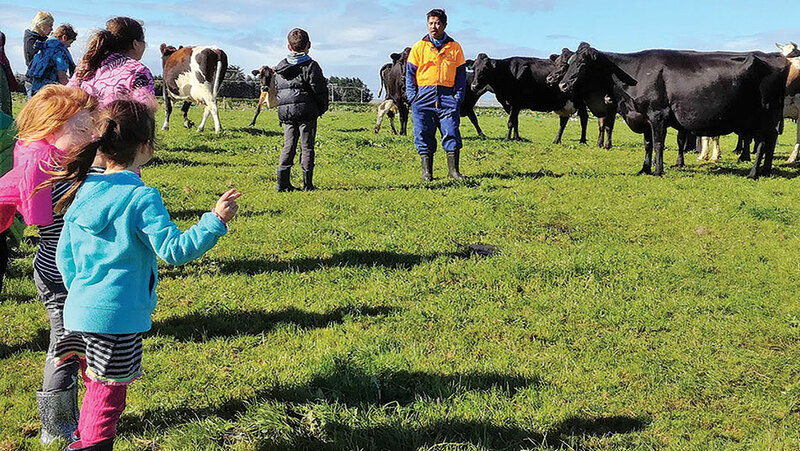 Children from Bluff's St Teresa's Primary School meet dairy cows on their own turf. Prior to their day on the farm, the children explored dairyrelated videos and games in the classroom through ‘Rosie’s World’, a child-friendly and educational website run by DairyNZ.St Teresa’s also participates in Fonterra’s Milk for Schools programme, which sees Fonterra Farmers providing nutritious milk to school kids on a weekly basis. To register as a school visit host, go to dairynz.co.nz/schoolfarmvisit.